Mountain Kingdoms was formed back in October 1987 as Himalayan Kingdoms, when two mountaineering friends, Steve Berry and Steve Bell rejected conventional careers to make a living from the love of their life - the greatest mountain range in the world. The reputation of the company as the Himalayan, trekking, touring and mountaineering specialist quickly grew, and in 1993, Himalayan Kingdoms were the first British company to guide Everest, putting seven paying clients, six Sherpas and two guides on the summit. In 1995, the company separated, with Steve Bell moving the mountaineering side of the business to Sheffield, which continued to operate as Himalayan Kingdoms Expeditions until 1999 when its new name, Jagged Globe, was slowly phased in. The two companies continue to have close, friendly ties. With Steve Berry at the helm, Himalayan Kingdoms continued to grow, pioneering new and exciting trekking routes, initially across the Himalaya, and then gradually beyond into the other great mountain ranges of the world: Europe, South East Asia, Central Asia, the Americas and, most recently, the Middle East and Africa. Finally, in 2008, Himalayan Kingdoms became Mountain Kingdoms to better reflect the holiday destinations we offer which span the world. As well as expanding into new regions, Himalayan Kingdoms also began to offer different styles of adventure holiday. Besides full camping treks, tea house trekking, homestays and hill tribe treks provide comfortable accommodation as well as contributing directly to the local economy. Luxury lodge trekking in many countries has a greater level of comfort still. Today, Mountain Kingdoms also offers Cultural Tours and Trekking Peaks. There is an impressive choice of trekking holidays that range from gentle day walks to demanding high mountain adventure. We are justifiably proud of ‘Mountain Kingdoms' 31 years of achievements’. Mountain Kingdoms - the adventure of a lifetime. Join us for a walk in the Cotswolds. We organise a 9/10 mile walk in the Cotswolds, ending with refreshments and a presentation. Full details of how to book your place(s) will be sent with your Dossier once you have booked your holiday with us. Mountain Kingdoms is pleased to support Wilderness Lectures, a series of audio/visual presentations in Bristol, all with the theme of worldwide adventure, travel and exploration. All of the presenters are widely travelled explorers, mountaineers and well known adventurers. Come along and be inspired! The next season for Wilderness Lectures is set to commence on the 3rd October 2018. As usual there is a great line up of various well known explorers, mountaineers, travel writers, cameramen, TV personalities, and generally anyone who has an epic story to tell and wants to share their passion for the wilderness with like-minded people. 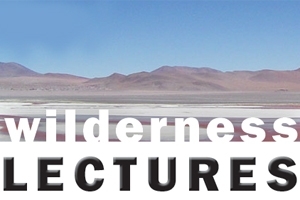 For tickets and further information including a detailed synopsis for each lecture please see the Wilderness Lectures website.